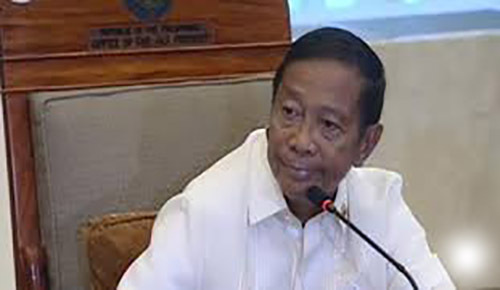 The Vice President of the Philippines Jejomar Binay has formally resigned as one of the President's cabinet. As we all know, Binay is the presidential adviser concerning on overseas Filipino workers. It was her daughter, Makati Rep. Abigail Binay who send the resignation letter at the Office of the Executive Secretary personally. According to Joey Salgado, head of Binay's media affairs office, Abigail handcarried the resignation letter that was addressed to President Benigno Aquino III. Salgado said, "She was accompanied by Undersecretary Benjamin Martinez Jr., chief of staff of the Vice President. Executive Secretary Paquito Ochoa received the letter around 3:55 p.m. at the Office of the Executive Secretary." Comments or suggestions about "VP Jejomar Binay quits President Aquino's Cabinet" is important to us, you may share it by using the comment box below.